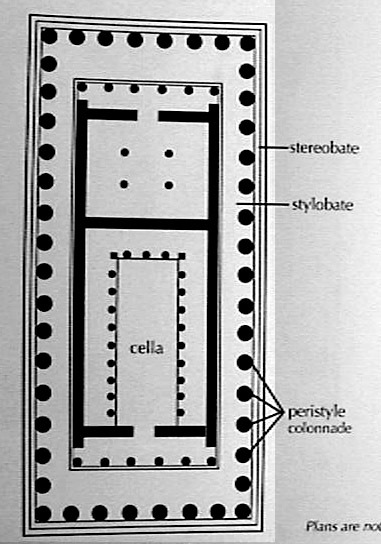 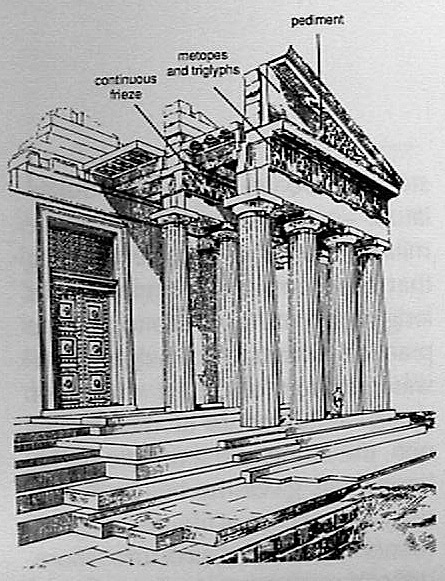 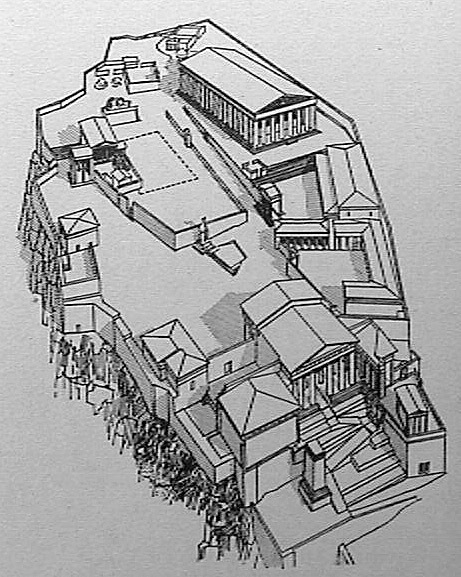 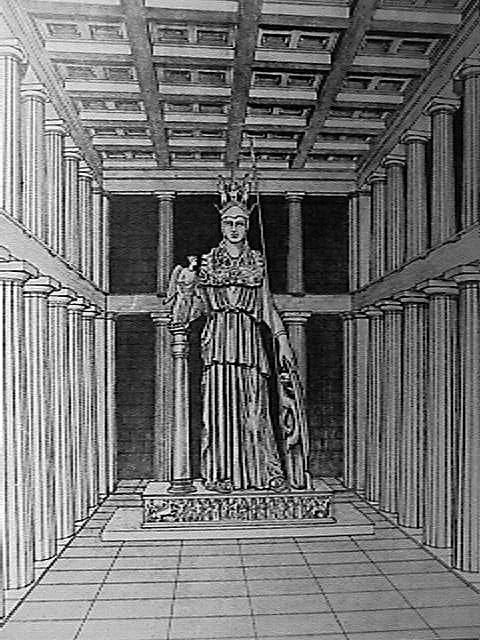 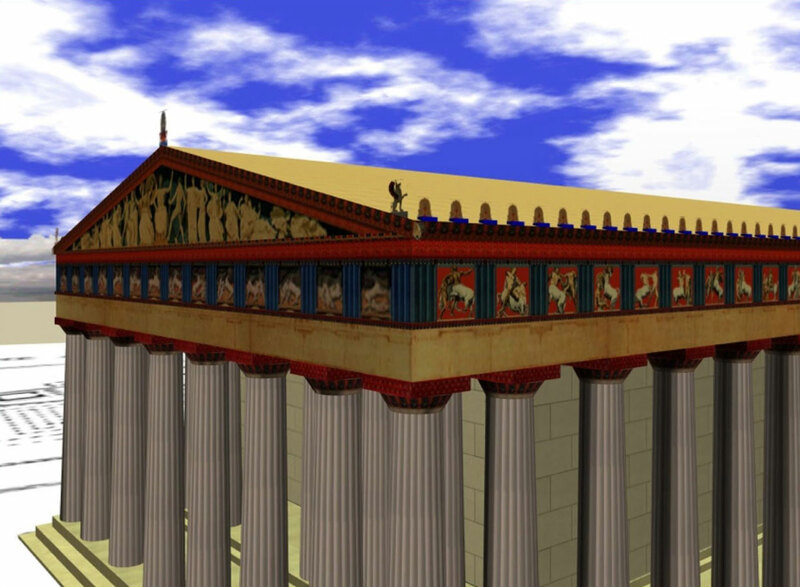 So the “cella” and the storage room on the other side of the wall have a “continuous frieze.” A continuous frieze is actually an Ionic feature that we have seen in other temples. 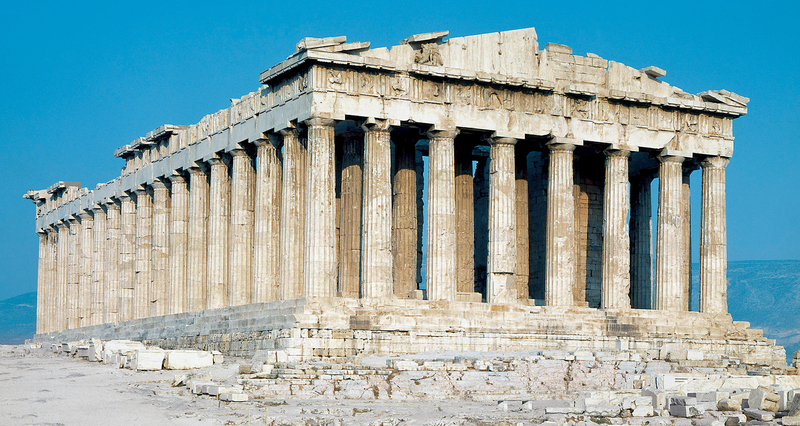 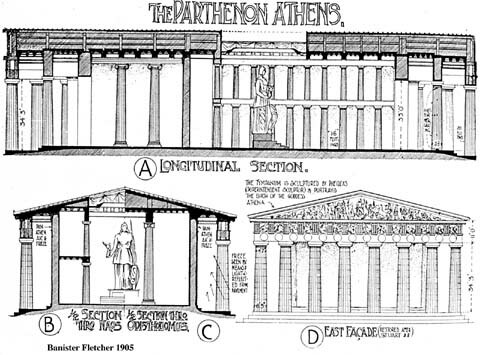 This is not a feature of the Doric order. 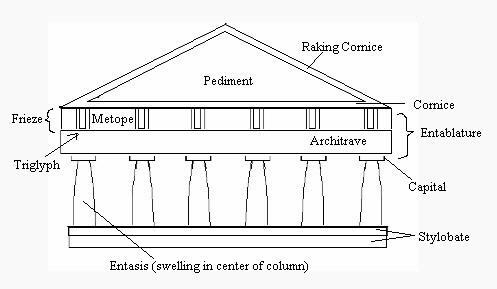 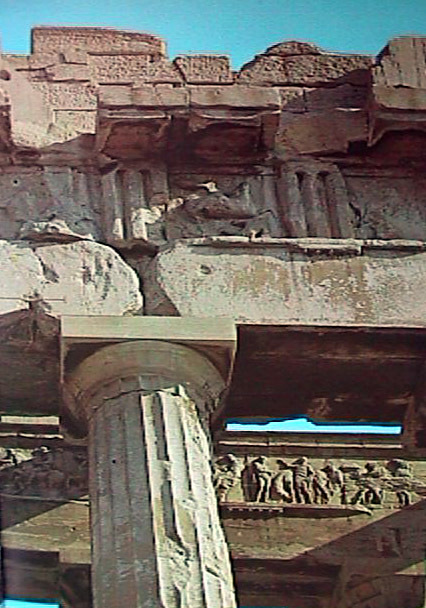 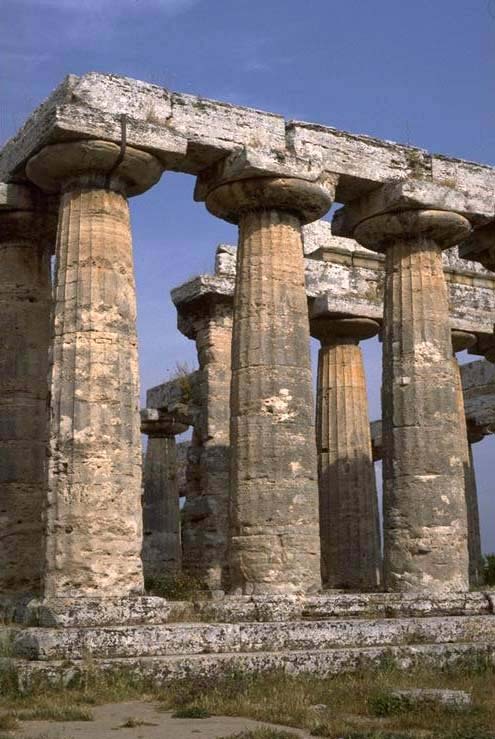 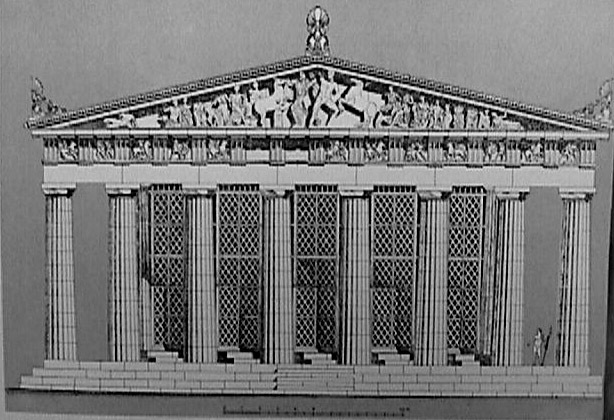 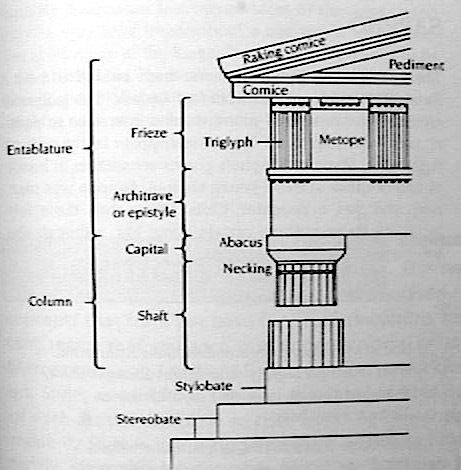 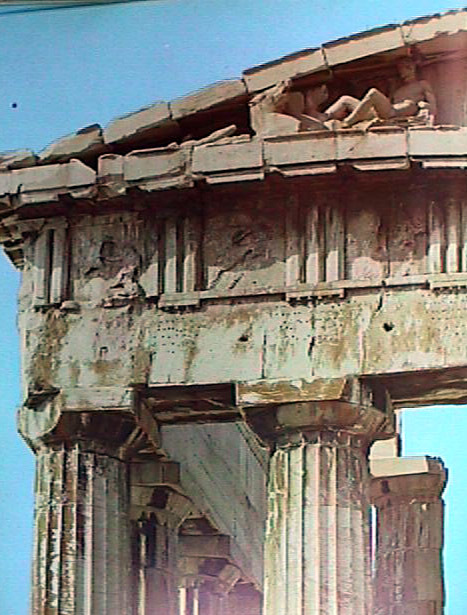 The Doric order has that alternation of metopes and triglyphs and so the architects placed an Ionic style continuous frieze on the interior peristyle. 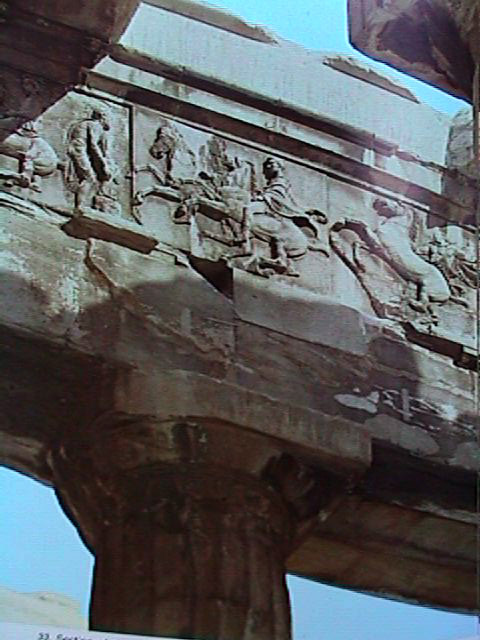 You can see on this continuous frieze that there is no division between the characters or figures that are dancing across it. 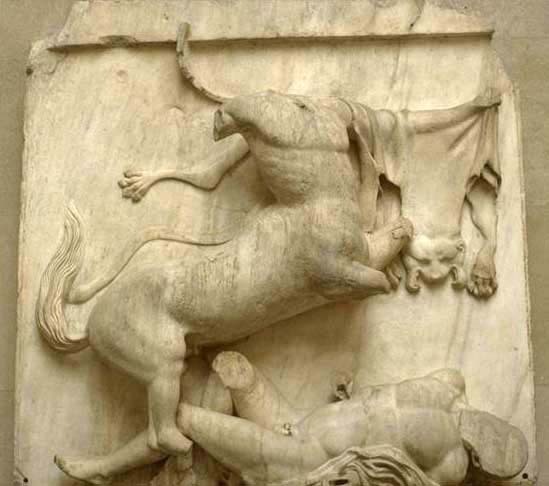 There are two possible stories being represented here. 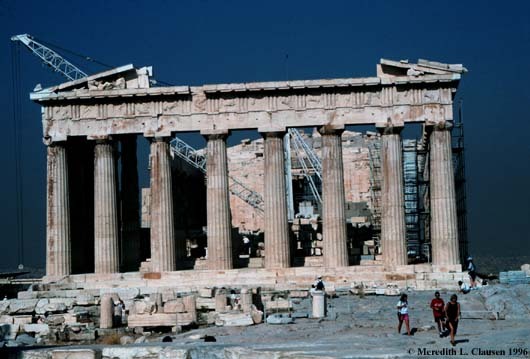 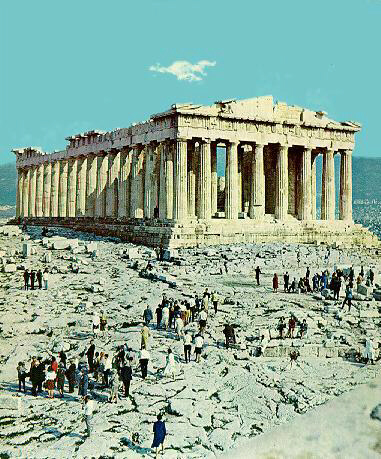 The favorite theory seems to be that it is the “Panathenaic Procession” that happens every four years and that this is a series of figures in a procession leading up to Athena. 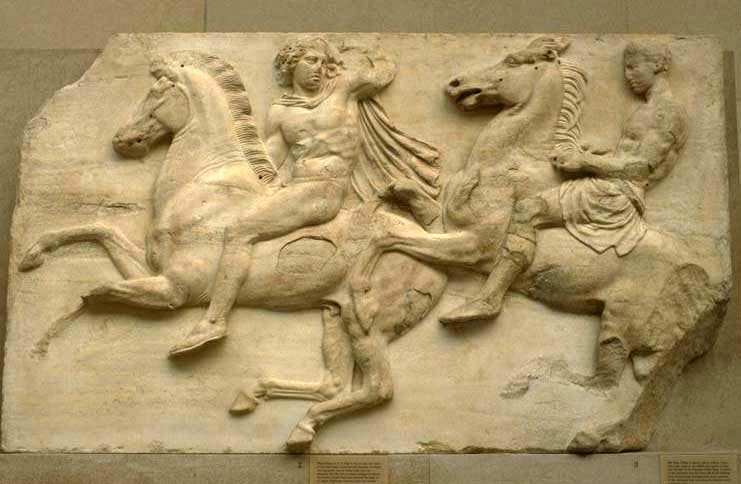 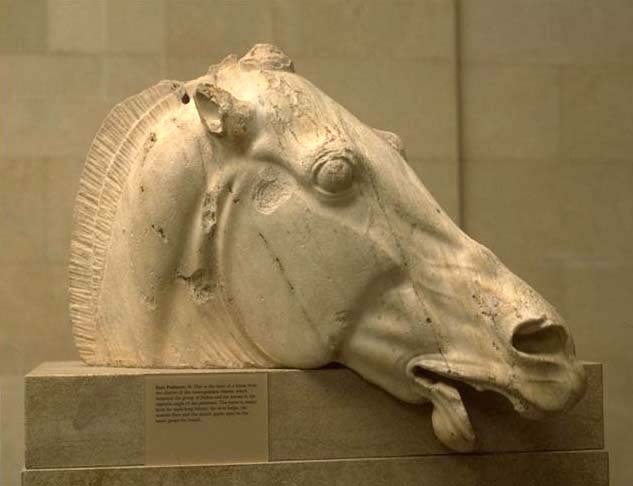 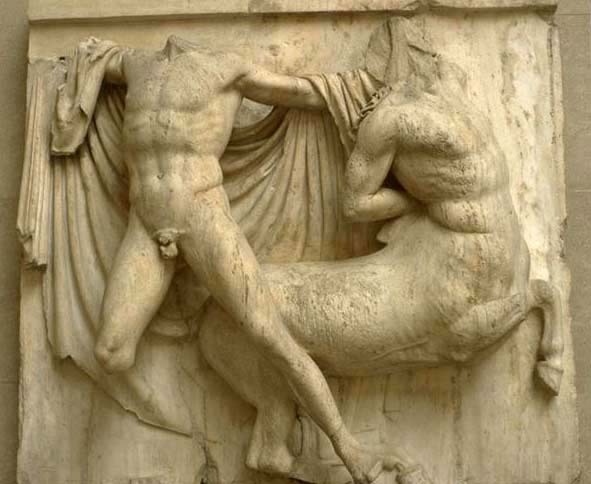 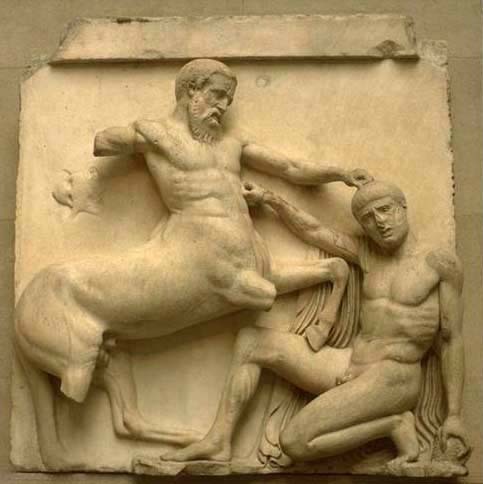 If we zoom in a little bit on one of the friezes, it is depicting ideal soldiers or ideal Athenian citizens who have “kalos.” I think an interesting thing is the relationship between the sizes of the riders’ bodies to the sizes of the horses because I don’t think the sizes are accurate. 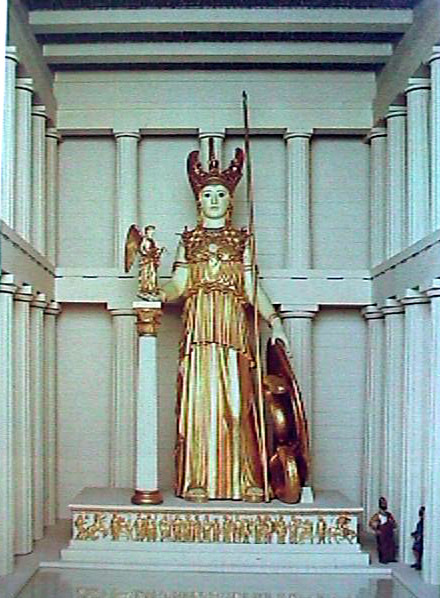 I think the whole point is to show that these figures are ideal or beautiful people.